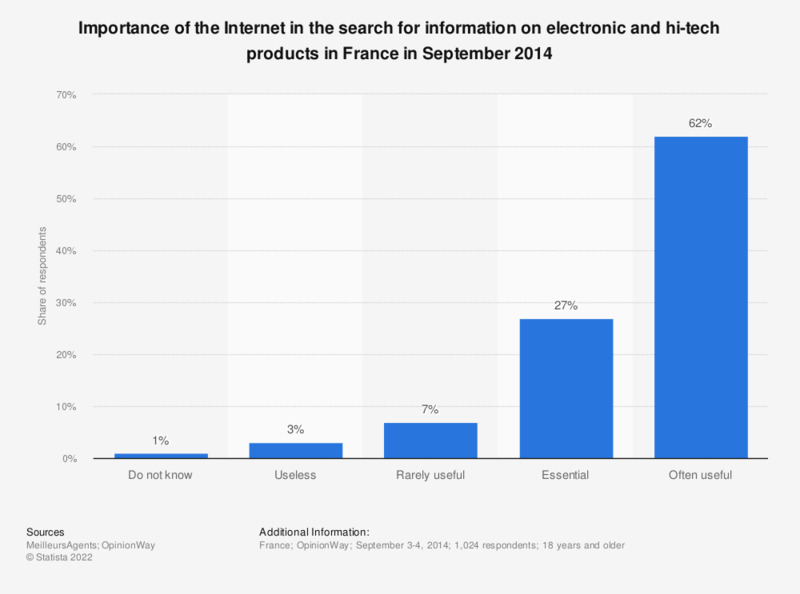 This statistic shows the importance of the Internet in the search for information on electronic and high-tech products in France in September 2014. At this time, more than 60 percent of respondents considered that the Internet was often useful in research information on the electronics sector. The question was worded by the source as follows: "What place does the Internet occupy in the context of a search for information on everyday topics? (many possible responses) ?